Without a coach in place and relying solely on the support of several dedicated old boys to keep the club afloat, the first four months of the newly formed Coleraine Grammar School Rowing Club were not exactly what we would have hoped for. However, the club’s fortunes quickly changed with the appointment of a new coach in January. Jeremy Johnston started rowing at Methody and has spent the last 10 years coaching at Bann. However, given the impression he has already made at the club, we may be able to forgive his past! Jeremy has immediately injected an enthusiasm and passion into the club with great ideas, organisation and recruitment. Any old boys who have been down recently are amazed by the buzz around the place and the numbers of rowers are unlike what we have ever seen before (75 on Saturday past!). Each week sees the newly formed club take huge strides, with the first ever all-girls eight taking to the water last week. We are excited for the future of the club and wish Jeremy the best of luck. With such large numbers of boys and girls the club needs support more than ever – if any old boys can spare any time at all please get in touch. After our fundraising push over the last couple of years, we can now announce that we have ordered a brand new Janousek 4x/- to be donated to the school which should be with us in the next couple of months. Massive thank you to everyone who organised events or contributed towards the boat or even just paid your membership! The board has decided that we will name the boat in honour of the late Bobby Platt, however what that actually is, is still to be determined. There is already a boat named “Bobbie” in the club so we would welcome any suggestions on what the new 4 should be – whether it’s something humorous, or serious or something in between, please email in your suggestions. COBRA Day had a very different feel about it this year. The most obvious difference taking place was that the Old Boys were now competing against CGS for the 1st time, the event was held on it’s less usual 28th December slot and there was the appearance of a “fat boy” VIII for those who were keen to see the Bann at a more leisurely pace. The final change was to the race itself, which saw the course shortened due to safety concerns in relation to the fast flow. The race (from the Cutts to the Christie Park jetty) was a tight affair in tough conditions, with the School boys stealing a healthy lead at the start only to be reeled in and rowed down by the experienced COBRA boat (featuring Rio-bound sculler Alan Campbell in the 5 seat). The “other” Old Boy crew had an enjoyable outing too, paddling to the New Bridge and back and getting the best seats in the house for the main event. After the racing was done came time for the customary post-race friendly banter and annual catching-up, whilst the trophies were handed out. Before December’s AGM, long-standing COBRA Directors Richard Archibald and Andrew Wright stood down from the Board in order to spend more time with their ever-expanding families. Both Andrew and Richard are founding members of COBRA and we thank them for their years of hard work, commitment and dedication in bringing COBRA from its infancy through to the thriving organisation it is today! We welcome aboard Ross Cochrane and Mark McMullan who were voted onto the Board of Directors at December’s AGM. Ross is heavily involved in coaching at CGSRC and Mark is a student at QUB where he was previously a member of the men’s squad and is currently coaching the novice men’s squad. He is also going through his Rowing Ireland umpire exams at the minute! In December the Directors changed the company’s registered address to that of the new Company Secretary, Calum McBurney – 6 Pandora Street, BT12 5PR. We have a number of the last ever CAI magazines, if you would like one please get in touch, however we do have a limited number and once they’re gone, they’re gone. The 2015 COBRA AGM was a landmark for the organisation, as the Board of Directors proposed a number of options for the future of the organisation due to the amalgamation of Coleraine Academical Institution (CAI) with Coleraine High to form Coleraine Grammar School (CGS). The members voted unanimously in favour to continue supporting the club under its new guise of Coleraine Grammar School Rowing Club (CGSRC) and look forward to welcoming oarsmen and oarswomen into our organisation. Additional changes included changing the title Coleraine Old Boys Rowing Association and the relevant acronym C.O.B.R.A, and changing this to COBRA – Coleraine Alumni Rowing Association. This is a clear intent that we wish to invite all alumni of CGSRC to join, but maintain a reference to the strong foundations upon which this organisation was formed and built. 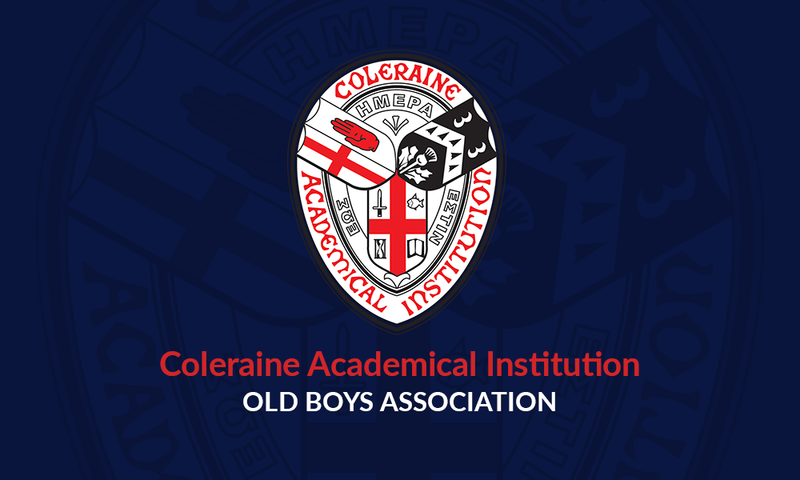 Copyright © 2019 Coleraine Academical Institution - Old Boys Association.